A slew of real work wake-up calls caused Samantha to shelve her dream of becoming an author. She took what she considered the practical route and enrolled in a business college in Des Moines, Iowa, where she graduated with honors in 2009. But her thoughts of writing never dissolved. In October of 2009, Samantha started the book blog ChickLitPlus.com. From her small blog, Samantha met fellow readers and writers who pushed her to continue her goal of becoming published. Samantha March founded Marching Ink and has published three novels since – Destined to Fail, The Green Ticket and A Questionable Friendship. 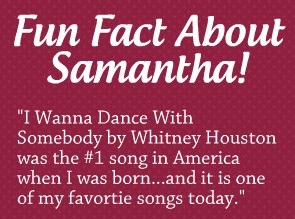 Samantha currently lives in Iowa with her new husband and newer puppy. Besides reading, writing, and ChickLitPlus responsibilities, Samantha enjoys sports–especially the Green Bay Packers and Chicago Cubs–and will never refuse ice cream. 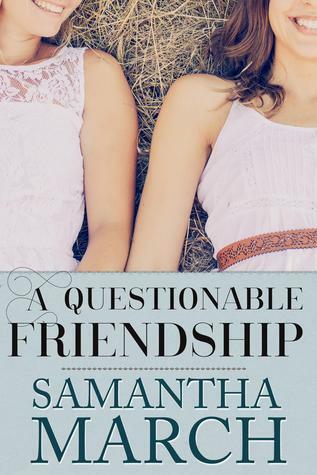 For a chance to win a copy of A Questionable Friendship, visit Samantha’s Facebook page, or click here to join the Reader Appreciation Author Hop.